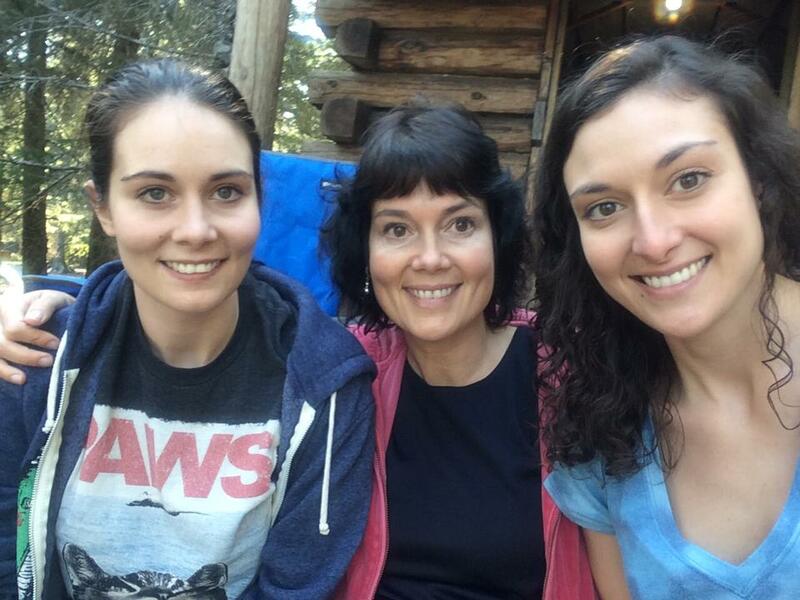 With Mother’s Day approaching, I’ve been thinking about my daughters more than usual. Then I saw the movie Tully yesterday. 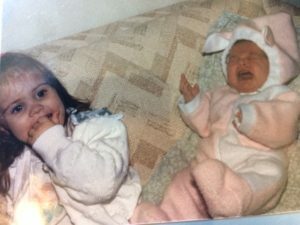 Without giving away the storyline, it made me think about what my younger self would say to me now about how the journey of motherhood has transformed my life. When writing memoir, most classes on the topic will ask the opposite. They ask the student to consider what he/she would say to the younger self. What would you now like to tell the younger you about life, now that you know better? What encouragement or cautions would you dispense? 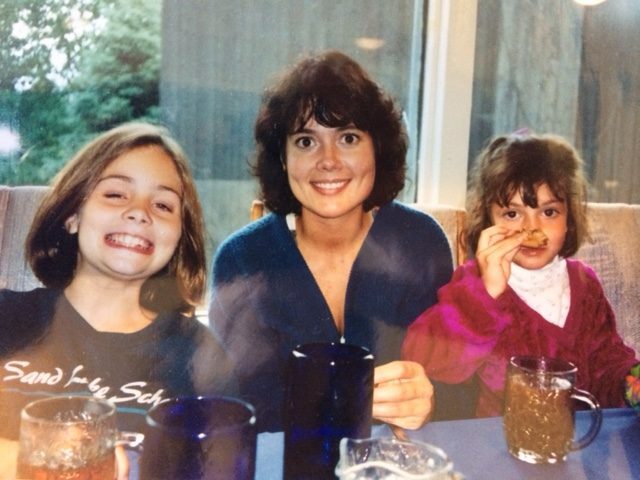 But now, as I flip through old photo albums, I’m left wondering: What would the 20 year-old me say to the older me as I wobbled through the different stages of my kids’ lives? What would she say to the 53 year-old empty-nester I am now? What would her insight be about motherhood if she knew how it would all turn out? I remember (not always fondly) thinking that I’d never sleep all night again, or take an uninterrupted shower, or have time and money for self-indulgences like reading a book in bed for hours or getting a pedicure. I wondered then if I would ever find a profession or learn to write and become an author, an out-of-range wish I’d dreamed of. I also remember the fun. Being a broke single mom and implementing a no-shoulds Friday. After a long week of following all the rules, the girls and I ate unhealthy food, stayed up late watching too much television, and they slumbered in my room. When they got too old for it, we had doughnut and chocolate milk Fridays before I dropped them off to school. I’m pretty confident the pre-mom me would say to take it one day at a time. To let the dishes sit in the sink longer to simply enjoy the sight of my little girls as they played. As they fought. I’m sure the younger me would advise me not to take the girls’ teen rebellion so seriously and so personally, and to hold my tongue more often. She would want me to have faith that everything would turn out alright. Not picture-perfect, but as they should. And she would want me to use restraint when offering a steady stream of advice to my now 30-ish daughters. This role will change your life, the young me would say. You will raise a person so much and so little like you. It will be the best and the worst thing that ever happened to you. This role will bring out your finest and scariest qualities, and provide so many opportunities to refine them. Happy Mother’s Day to us all. To the mothers who pushed through labor and fell in love with the homeliest and yet most beautiful little human the world has ever seen. To the mothers who pushed through months and years of paperwork and investigations to adopt. To the mothers who married into the role, raising someone else’s children as her own. And to the men and women who enjoyed mothers or survived mothers, and who may be now mothering their mother, Happy Mother’s Day. Don’t wait for someone else to make it special. Treat yourself. 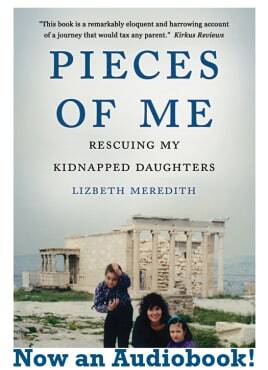 And before I now dash off to my pedicure, did I mention my memoir is now an audiobook? Thank you Vibrance Press and Suzie Althens for the narration. Thank you to Alaska Writer’s Guild and Eleanor Andrews for the nudge. If you buy it, would you please review the audiobook online? And I’ll be interviewed today as Writer of the Week by Universal By Design and will post the link later, thanks to a tip by author Rebecca Gay Smith Galli of Rethinking Possible: A Memoir of Resilience. Finally, the Taylor Stevens Show will kindly look at my new novel at my request to explain writing in the third person this week. I may have to rewrite the book, but better to know now. It will be as fun as getting on the scale in front of a room full of people at a Weight Watchers meeting, but she’s such a great writer that I’m fortunate to have her ear. Thank you for stopping by. I know you have many other things you do with your time, and I’m very grateful to be included. It’s easy to take family for granted. 80 years before reuniting, and I couldn’t help but wonder what it would be like if I’d never reunited with my own kids. 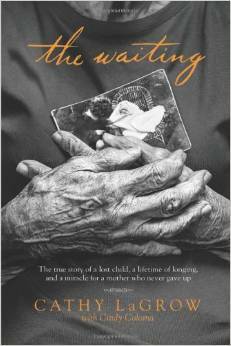 An excerpt from the memoir The Waiting: The True Story of a Lost Child, a Lifetime of Longing and a Miracle for a Mother Who Never Gave Up touched me this weekend as I read about this miracle reunion on MSN. Minka was just a kid when she placed her baby girl for adoption after being sexually assaulted. She stood by her decision, but never forgot her daughter. In 2006, Minka prayed that her daughter’s safety would be confirmed to her somehow, and a few weeks later, she received a call from her missing daughter’s son. Their story, written by a relative, is available on Amazon. After I read this remarkable story, my own daughters and I ventured 120 miles from home by car and rented a thimble-sized cabin in Seward, Alaska and griped our way through Mother’s Day. There was no fancy brunch. No Hallmark cards or warm, salted tears of gratitude for years of being the struggling, single mom. But there was time together to enjoy the campfire, share old memories, and make a few new ones. And after all that we have been through together, we are privileged to take one another for granted.